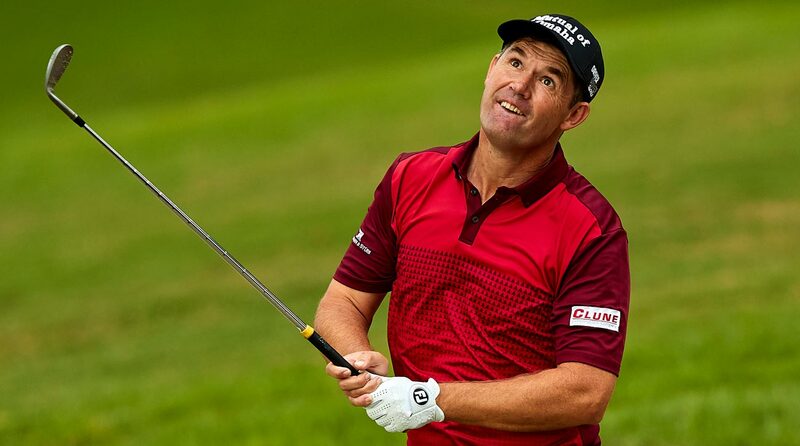 Padraig Harrington could be the next European Ryder Cup captain in 2020. But whoever ends up leading the team, Harrington thinks the American side will have a major disadvantage at host venue Whistling Straits in Wisconsin. Speaking to reporters at the Turkish Airlines Open, Harrington commented extensively on the heated biennial matches. Harrington served as vice captain for Europe's landslide victory this year at Le Golf National in Paris. The three-time major champion acknowledged that home-field advantage played a huge role in that win, saying, "We knew going into France, make par be very precious, and Europe will have an advantage, and it proved that way." Similarly, Harrington noted that the Americans' triumphant victory in 2016 had everything to do with the venue, Hazeltine National: "They just knew, a stats guy came in and said, look, we make more birdies than the Europeans. We make this into a birdie fest, we should win." Padraig Harrington reacts during day three of 2018 Andalucia Valderrama Masters. So will a similar trend continue at the 2020 contest on U.S. soil? Not so much, says Harrington. Instead, he thinks Whistling Straits benefits the current keepers of the cup. He referred to the past and future PGA Championship venue as a "a European style golf course" and took a dig at the Americans choice of playing field. "Let's face it, if we were going to Riviera, that would be so hard for the Europeans to win on that style of golf course, just U.S. to the bone there," Harrington said. "There's so many golf courses that they could go to in the States. They should just turn up in Hazeltine every year, their cup of tea and gives such an advantage." Though 2020 might be an exception, Ryder Cup teams are certainly getting better and better at setting themselves up for victory before a shot is hit. Some see this as a growing problem, one that could only be solved by a neutral party choose and set up the venue for each competition. Harrington sees such a move as all but inevitable. "I don't think it's going it happen very soon but I do think eventually if it keeps going, we win in Europe, they win in the States." Until then, though, it would be in the U.S. team's best interest to be a little more careful when choosing a host course.